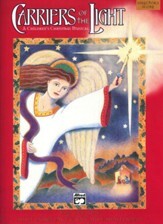 This creative story line is inspired by scriptural passages focusing on Jesus as the Light of Salvation. It celebrates the passing of God's Light from Mary to Joseph to the animals in the manger, from the shepherds in the countryside to the wise men in the east. This inspiring program concludes with the cast "passing the light of God's salvation" to the audience or congregation in a beautiful candlelighting ceremony, with all people becoming Carriers of the Light! Recommended for grades K-8, it is approximately 20 minutes long and is flexibly designed for children's choirs, Sunday schools or Christian schools. Alfred's Vocal Duet Collections are an invaluable resource for any singer looking for a wide selection of seasonal arrangements for 2 equals voices. 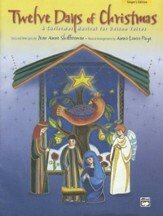 Each of these editions offers outstanding repertoire for recitals, concerts, contests and worship. A companion CD is included. Twelve Days of Christmas is perfect for children's choirs, Christian schools or Sunday schools, and great as a multi-generation program for performers of all ages. 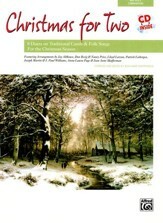 Easy to prepare, it features nine unison songs based upon traditional carols and hymns. The Storyteller can "read" the story, and the thirteen additional speaking parts are simple, short rhymes that are easily memorized. This pack includes one copy of the Singer's Edition (vocal lines and script) plus a Listening CD recording (full performance only-with voices).